As you awaken in the morning, bring your attention to your breathing. 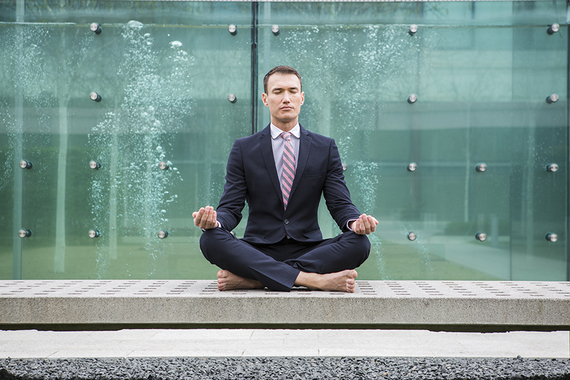 Instead of letting your mind spin off into yesterday or today, take mindful breaths. Focus on your breathing, and sense the effects of breathing throughout your body. Instead of hurrying to your usual routine, slow down and enjoy something special about the morning: a flower that bloomed, the sound of birds, the wind in the trees. On your way to work or school, pay attention to how you walk or drive or ride the transit. Take some deep breaths, relaxing throughout your body. When stopped at a red light, pay attention to your breathing and enjoy the landscape around you. When you arrive at your destination, take a few moments to orient yourself; breathe consciously and calmly, relax your body, then begin. When sitting at your desk or keyboard, become aware of the subtle signs of physical tension and take a break to stretch or walk around. Use the repetitive events of the day – the ringing telephone, a knock on the door, walking down the hall – as cues for a mini-relaxation. Walk mindfully to your car or bus. Can you see and appreciate something new in the environment? Can you enjoy walking without rushing? As you return home, consciously make the transition into your home environment. If possible, after greeting your family or housemates, give yourself a few minutes alone to ease the transition. As you go to sleep, let go of today and tomorrow, and take some slow, mindful breaths. By following the main elements of mindfulness – combining awareness of your breath with focusing on the activity at hand – you will be able to experience every moment as fully as possible. Award winning Coach, Speaker and Author. Shola supports people to get their Energy back and Life on track! Shola is the Founder/Director of the popular Energy 4 Life Wellness Coach Training and has appeared on radio and TV worldwide. 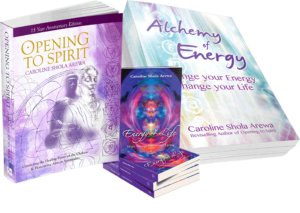 To find out more about, Shola’s books, Coaching and training programmes, and to receive a Free 7-day Email-course on Creating Ease and Excellence in your life and work visit: energy4lifecoach.com and sign up. Yoga Teacher, Psychologist, Author and Trainer of Wellness Coaches. I secretly want to write a book – how do I stop procrastinating?